Anyone know what vehicle this came off of? Got it at a flea market last week. 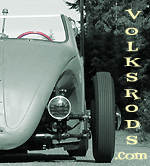 Going to make it as the rear engine cover on my Volksrod. It reminds me of the nose piece off an old firetruck. Without the chrome part. I was thinking tractor due to the amount of openings and the screen mesh behind it. Definitely not a car. Going to practice my metalsmithing skills on it. Will probably split it in the middle and add a few inches of material, possibly arching it more. Have so many parts for it but SOOOO many other things to do before it. Need to get the Mustang II front end on the Coyote first and make that a roller. By they way, got it for $30. Talked him down from $45. DAMN! Just found it online. It's a International IH Farmall Tractor Grille 400 450.. They want $400 for it!!!!! SCORE!!!!! Cool beans! looks like that one is in pretty good shape too. If it were me I'd sell it to make gains toward a more expensive part I knew I was already going to have to buy... But your alterations sound very interesting. Sure hard to wait for the final product sometimes. International Harvester...? Oh, you mean a "Corn Binder."